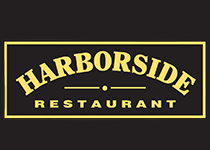 Harborside is located inside famous Balboa Pavilion, where every table has a water view. Serving champagne buffet on Sunday, lunch and dinner daily. Specializing in fresh, great seafood, prime steaks and local favorites. First-seating menus available in the dining room and the longest happy hour in town in the saloon. Waterfront banquet facilities for up to 500, specializing in wedding receptions, birthdays, reunions, and corporate events.